KEMPVirtual LoadMaster GEO, performance depends on host platform. Separater Supportvertrag erforderlich. KEMPVirtual LoadMaster 200, max. throughput 200 Mbps. Separater Supportvertrag erforderlich. KEMPVirtual LoadMaster 5000, max. throughput 5000 Mbps. Separater Supportvertrag erforderlich. KEMPVirtual LoadMaster 200 for MS AZURE. 200 SSL TPS. GSLB included. KEMPVirtual LoadMaster 2000 for MS AZURE. 1,000 SSL TPS. GSLB included. 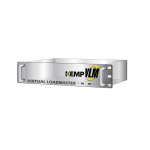 KEMPVirtual LoadMaster 5000 for MS AZURE. 10,000 SSL TPS. GSLB included.